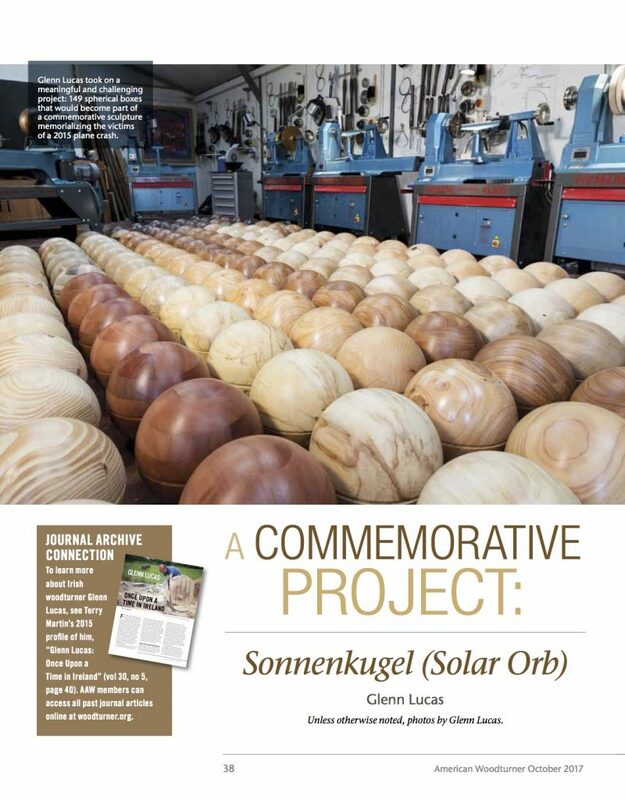 “Solar Orb” is the work of German sculptor Jürgen Batscheider. It is a 5-metre gilded orb made of 149 individual elements placed at the Flight 4U9525 crash site, to remember the 149 victims of the tragedy of 24 March 2015. The surface of the “Solar Orb” is made of 149 gilded aluminium panels. Gold stands for longevity and value, and represents the sun, a universal symbol of life. Inside the orb, there is a crystal-shaped stainless steel vessel built to hold 149 individual wooden commemorative spheres. The crystal has five sides: one for each of the victims’ home continents. 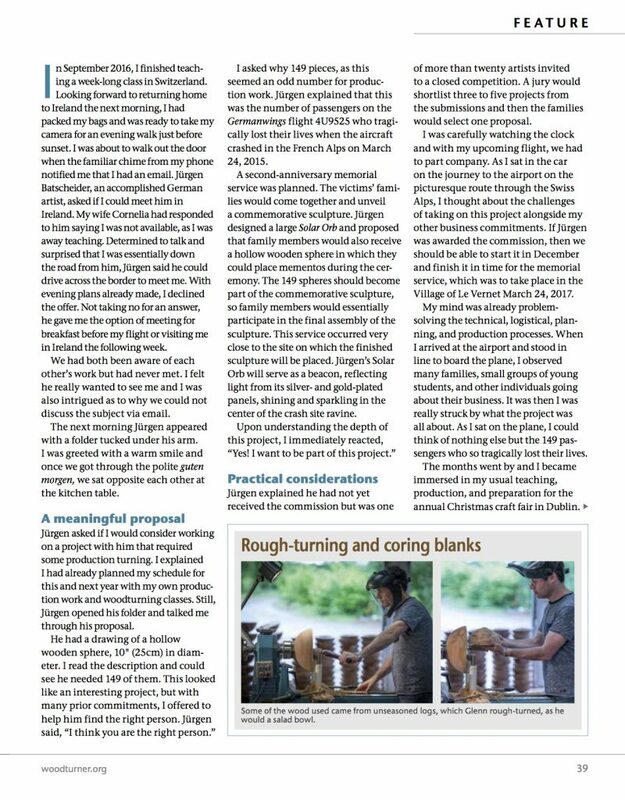 The sculpture was officially presented to the relatives in Le Vernet, France, on 24 March 2017, the second anniversary of the tragedy, and was installed at the crash site in the Alps, in late Autumn 2017. A “Solar Portal” installed on the Col de Mariaud will frame the view of the memorial from the other side of the valley. The view through the portal links the visitors’ platform with the crash site. The actual crash site will remain permanently closed to visitors. Read about Glenn’s involvement in this sculpture. 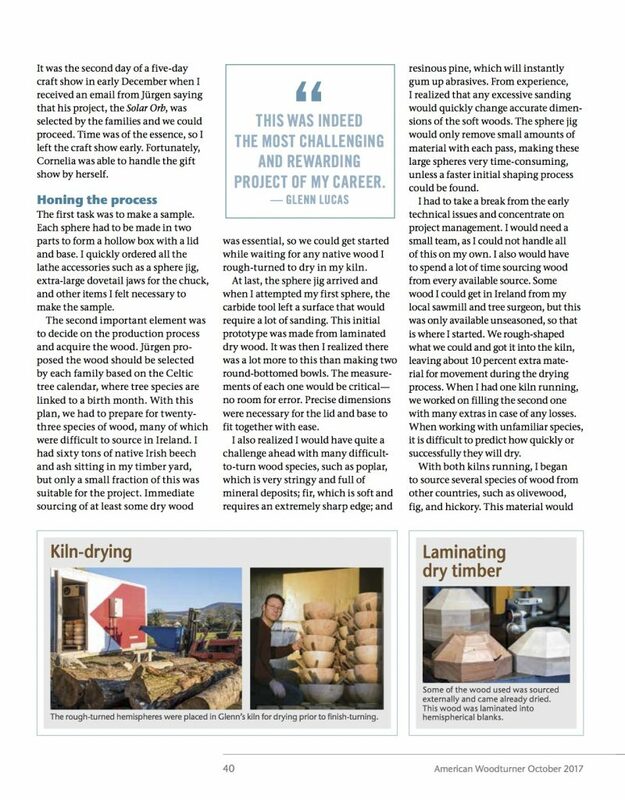 First published in October 2017 in American Woodturner, the journal of the American Association of Woodturners, and it is shared with the AAW’s permission. 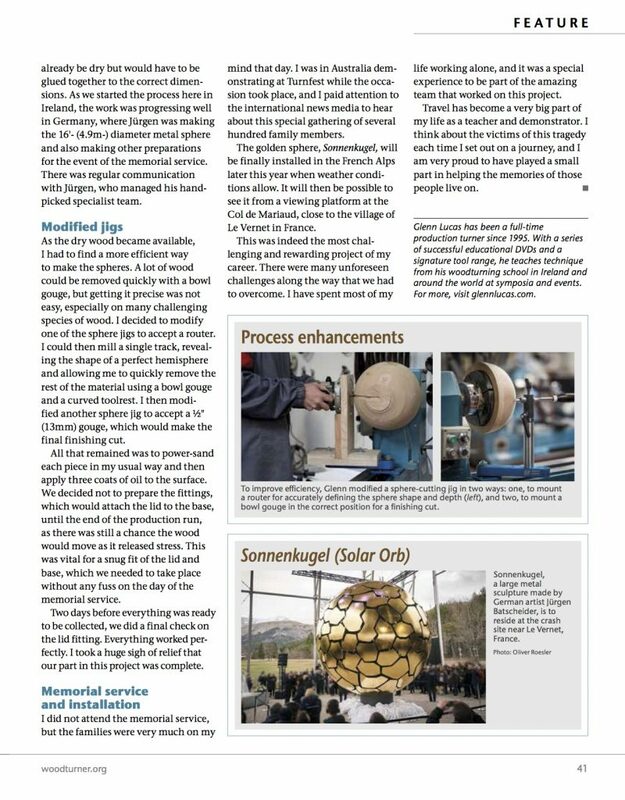 Click here for more about the solar orb.